The Johnston Development Corporation (JDC) is sponsoring three springtime Community Concerts in the Park in Johnston on the first Friday of April, May, and June. The Concerts, which will be held 7-8 p.m., are free and open to the public, and will be held in Mims Park in front of Johnston Elementary School. The concerts are designed to present a diversity of music for concern-goers to enjoy. WKSX radio is the Concerts Sponsor. April 5: Joyce Rude and the Rude Dudes. 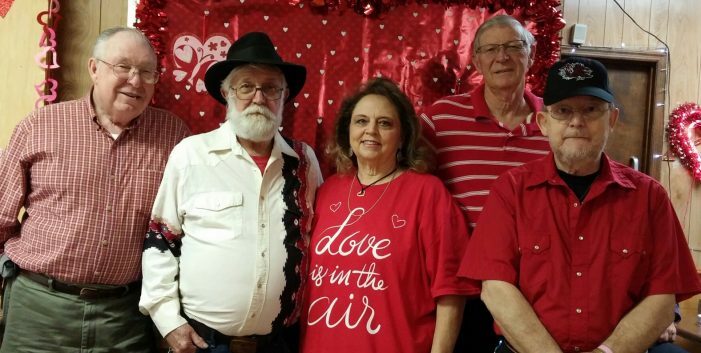 Originating from Saluda County, SC, Joyce Rude and the Rude Dudes have been performing classic country and oldies for almost two decades. Original band members, Joyce Rude and Richard Elders, have established themselves as local favorites performing at many venues throughout the area. May 3: Edgefield County Acoustic – Guitar Pull: Edgefield County Acoustic (ECA) was formed by local citizens who love listening, playing, and writing acoustic music. June 7: Old Timey Gospel Hour will feature members of the Butler United Methodist Church from the Hollywood section of Saluda County. These concerts will be held rain or shine. In case of rain, the concerts will be move inside the Johnston Elementary School Gym. No coolers or alcohol will be allowed. Concert attendees should bring their own chairs.